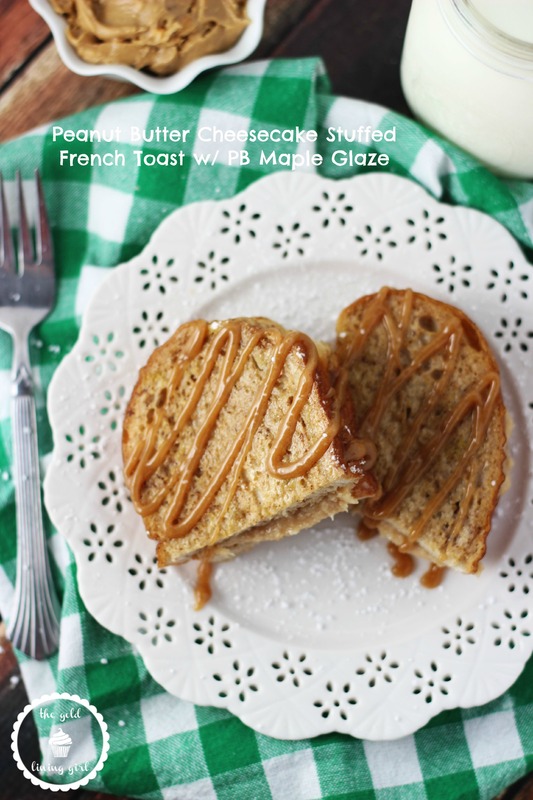 Peanut butter cheesecake French toast with peanut butter maple glaze is like having dessert for breakfast! 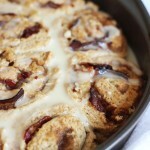 It’s simple, easy, and perfect for lazy and decadent weekend mornings! Guess what. More peanut butter stuff today. YAAAAAAAAAY! Get excited. I’m highly passionate about nut butter, and that probably sounds… well, nutty, but I’m just fine with that. Color me nutty, but I LOVE the stuff. But, duh, you guys know this already… and then some. I could eat peanut butter and nothing else for the rest of my life, and I really mean it. Sure, I would miss donuts. A lot. I have major love for them too, but I could get over it. Peanut butter, I could not. 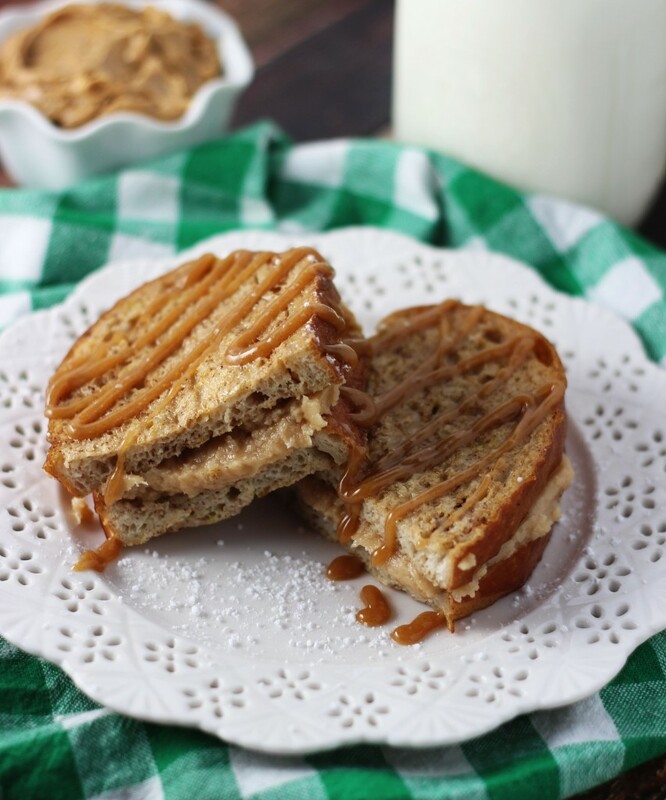 So when you live a life with peanut butter constantly on the brain, you find no shortage of ways to incorporate it into, um, practically everything. Also, remember that phase I went through late last year when I was eating French toast two or three times a day? It was a lot of French toast. I’m sort of back on that kick. What can I say? I’m a creature of habit. 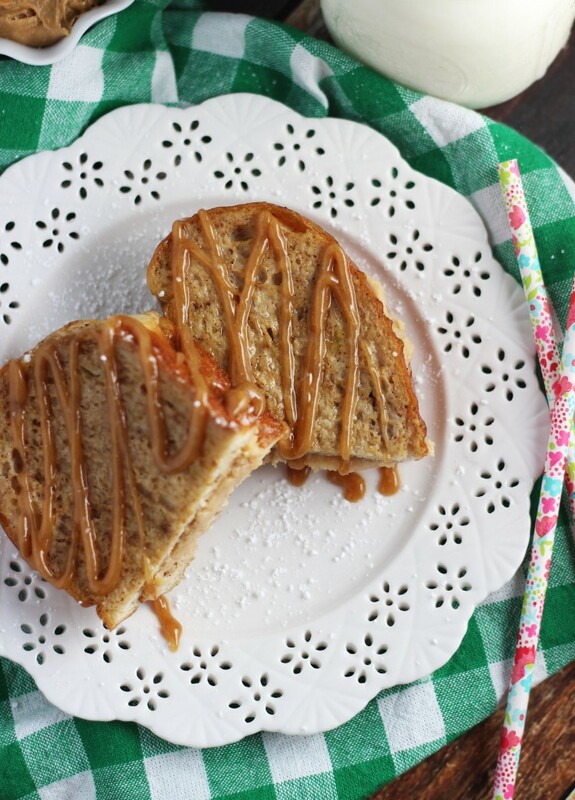 Between my nut butter obsession, and my fixation on French toast, a hybrid was bound to happen… which is how I bring you this amazing stuffed French toast featuring a hefty layer of creamy and rich peanut butter cheesecake in the middle of two slices of French toast. It’s dreamy! 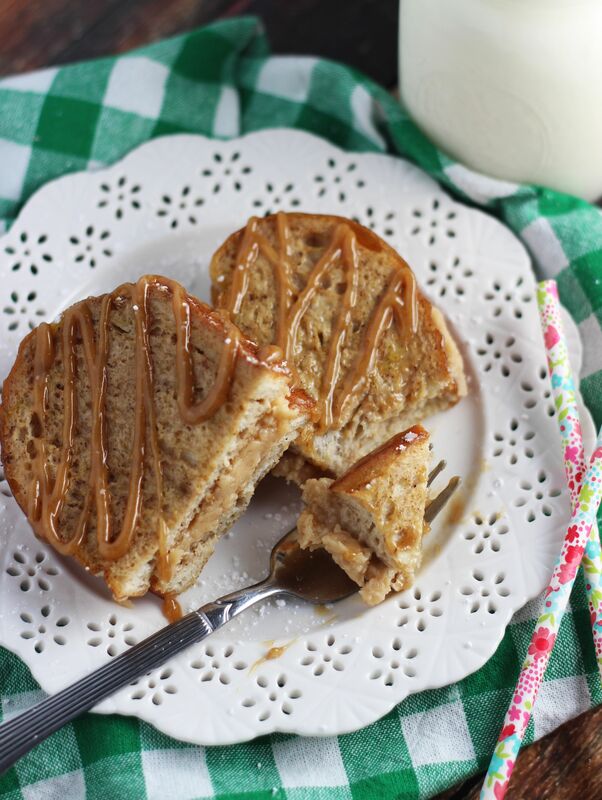 This French toast is topped with a super simple and easy peanut butter maple glaze. 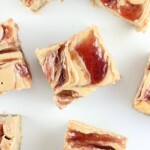 Let me tell you, peanut butter and maple complement each other beautifully! 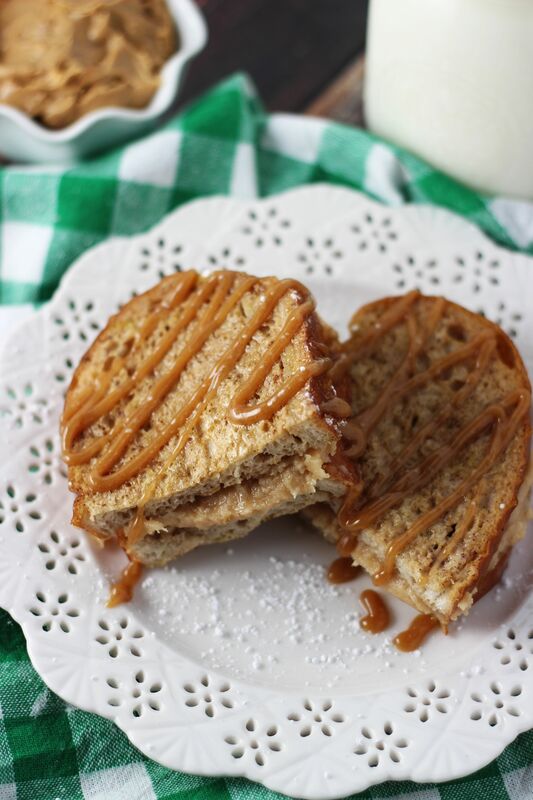 The maple syrup brings out caramel-like and brown sugary flavors in the peanut butter… DELISH. This pairing is dynamite. This is the perfect breakfast for weekend mornings! It’s a cinch to throw together, but since it’s on the more decadent side, it’s probably the sort of breakfast you want to save for special days of the week. Let’s call it what it is: it’s basically dessert for breakfast! Hey, I love any excuse to have dessert for breakfast. I am ALL FOR THAT. Always. Dessert for breakfast, for life. If that includes peanut butter? Even better. Life = complete. 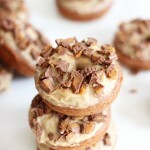 Make sure you also pop over to Food Fanatic for this Peanut Butter Cheesecake French Toast recipe! I am dying! This is AMAZING!!! Oh my god. This is AMAZING! I wish I could lick the screen!! This is such an amazing recipe Sarah, I absolutely have to try ..I can live on this breakfast forever! Pinned! Oh my goodness, I want this so bad! During my first pregnancy, all I wanted was peanut butter and french toast! Wow, that looks incredible! We’ll have to try this one this weekend. I’ll let you know how it turns out. Woah! Talk about an intense french toast…I think I’m in love!!! I wish that was in my belly instead of that protein drink!! WHOA! This sounds absolutely amazing! Found your post over at What’s Cooking Wednesday, pinned this recipe immediately! Oh cool! Yay, so glad you like it! Let me know if you try it! Wow this looks amazing! 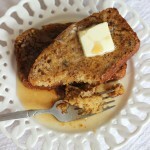 I can’t think of a better way to start your day than with this french toast! Looks delicious! That sounds delicious Sarah! I’ve actually never made stuffed French toast before. Definitely need to do that soon! 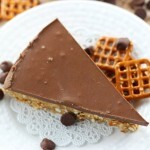 This looks so good….will have to pass it on. Thanks for sharing with the Thursday Blog Hop! This french toast looks absolutely amazing! Thanks so much for sharing your yummy recipe on the Monday Funday Party! Wow that looks insane! Thank you so much for linking up at Tasty Tuesday!